During the stay we are available for our guests. Every three days we bring our guests new towels and take care of the pool. We also change the linen regularly. We offer our guests advice and information about Dalmatia to make the stay pleasant and varied. - EVERY DAY A DIFFERENT BEACH OR ANOTHER ATTRACTION - The beaches of the Makarska Riviera, the Omis Riviera and the cities of Split and Trogir can be reached in less than fourty minutes drive. The natural park Biokovo which is rich in flora and fauna is just thirty minutes away. The nearby Busko lake invites for a swim. Explore the cities of Sinj, Imotski, Trilj, Klis and Solin. Each full of historic&cultural treasures. We recommend travelling by car. 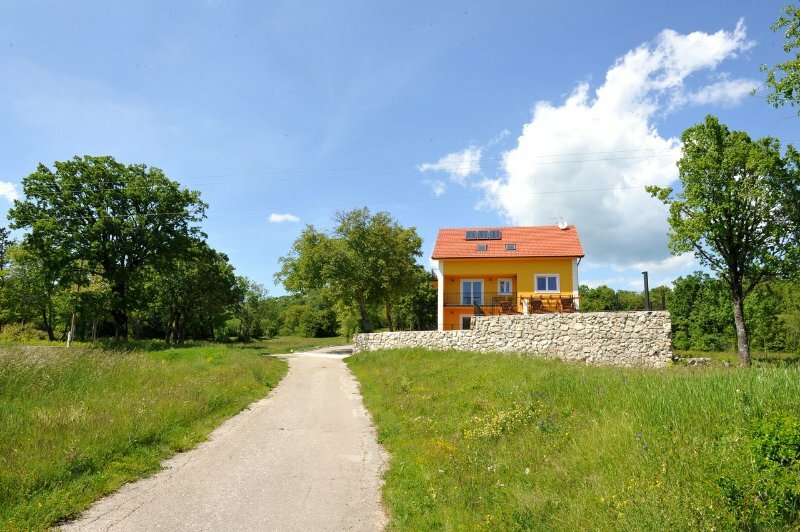 Our holiday house is a perfect starting point for motorcycle tours. The direct and original surroundings invite you to explore by bicycle too.